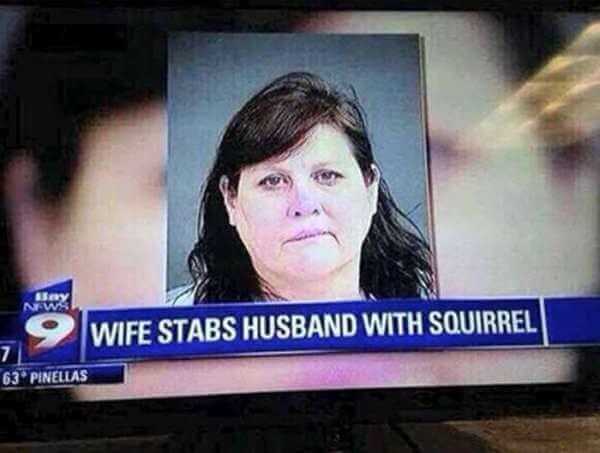 This wife used a cute little squirrel to stab her husband. We bet your brain is churning over all the possibilities for this one. Perhaps she used the squirrel’s teeth to attack her spouse? It turns out she actually used a ceramic squirrel! Sure this headline is incredibly misleading but it probably got people to tune in to the news at noon. In any case, she attacked her husband with a squirrel when there were so many better (worse!!!) options.